On the afternoon of May 18, 1780 the sky was a strange yellowish color and the clouds seemed dark and heavy. 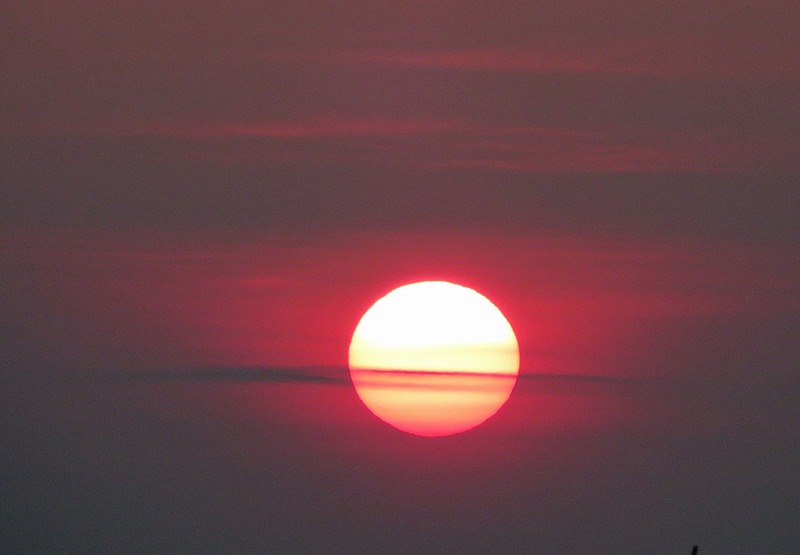 The next morning the sun came up deep red and barely visible through a haze, until by noon there was “midnight darkness” and people could not see. Candles were lighted, cattle lowed, and fowls went to roost. Men returned from their labor in the fields. The darkness stretched south from the Canadian border, covering most of Vermont, Connecticut, New Hampshire, and Massachusetts. At 2:00 pm in Ipswich roosters crowed and frogs peeped as if darkness had fallen. A witness reported that a strong sooty smell prevailed in the atmosphere, and a dark sooty rain began to fall, full of burnt leaves and ash.The first half of the night was hideously dark, and no ray of light from moon or star could penetrate the darkness until after midnight when a blood-red moon emerged. By the next morning, dark ash lay along the banks of the Merrimac River in Newburyport, four or five inches thick. 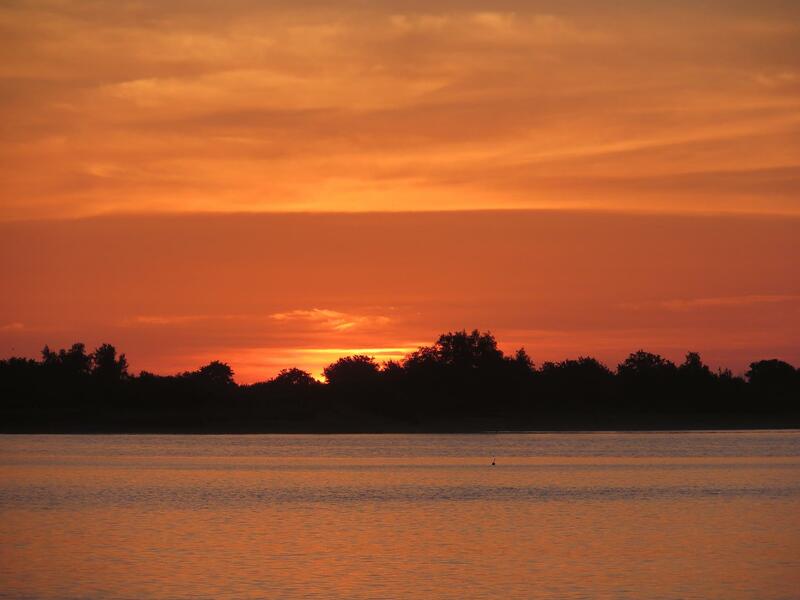 David Stone took this late day photo on July 25, 2014. 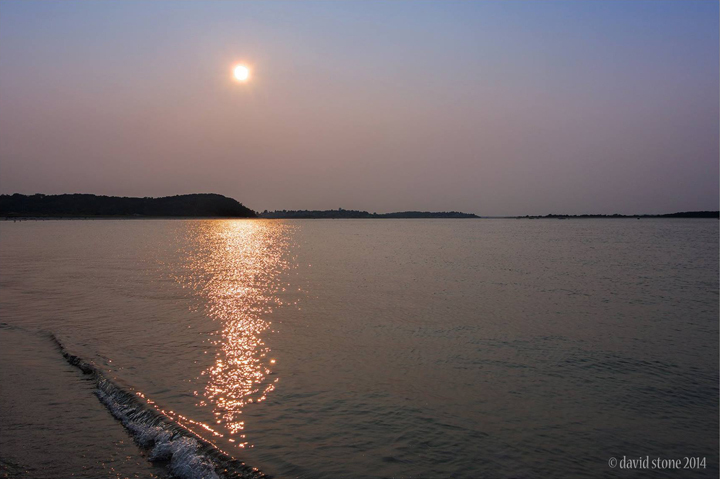 The brownish color of the sky reflecting on Ipswich Bay is caused by smoke drifting eastward from Canadian wildfires. The cause of the Dark Day of 1780 would remain elusive for more than a century. Researchers examining old burn damages to trees in Ontario attribute the Dark Day to a major fire in the area that is now the Algonquin Provincial Park.In the 19th century, the logging industry harvested great swaths of large white pine and red pine trees to produce lumber for domestic and American markets. Based on observations of wind direction and barometric readings it has been determined that a low pressure weather system carried dense smoke to New England. What Caused New England’s Dark Day?